April 8, 2016, 10:46 a.m.
From Nieman Reports: Do we need a new kind of nonprofit structure to support news as a public good? By Julia Cagé April 8, 2016, 10:46 a.m.
Editor’s note: There are lots of new stories to read in the newest issue of our sister publication Nieman Reports. In this piece, an excerpt from her new book Saving the Media: Capitalism, Crowdfunding, and Democracy, the French economist Julia Cagé calls for a new legal structure for media organizations that reflects the role of news as a public good. In short, the question is not whether the media should be subsidized. It is rather whether they should be granted a favorable legal and tax status in recognition of their contribution to democracy — a status comparable to that long enjoyed by many other participants in the knowledge economy. Some see the interest of billionaire investors such as Jeff Bezos, Pierre Omidyar, and John Henry as the harbinger of a new golden age: Once again, newspapers will be flush with resources and staff. In the United States, the United Kingdom, Ireland, and Germany, newspaper companies have experimented with a variety of innovative formulas over many years. Many nonprofit media organizations have emerged. In Germany the largest media conglomerate, Bertelsmann — number one in Europe and one of the largest media companies in the world — is owned by the Bertelsmann Foundation. This structure has in no way impeded Bertelsmann’s growth. Bertelsmann, with 110,000 employees, occupies a significant place in the media landscape in France, in Europe, and in the United States, where it is the majority shareholder in Penguin Random House, the largest publishing house in the world. Let’s survey some existing models of nonprofit media organizations to gain a better idea of their advantages and limitations. 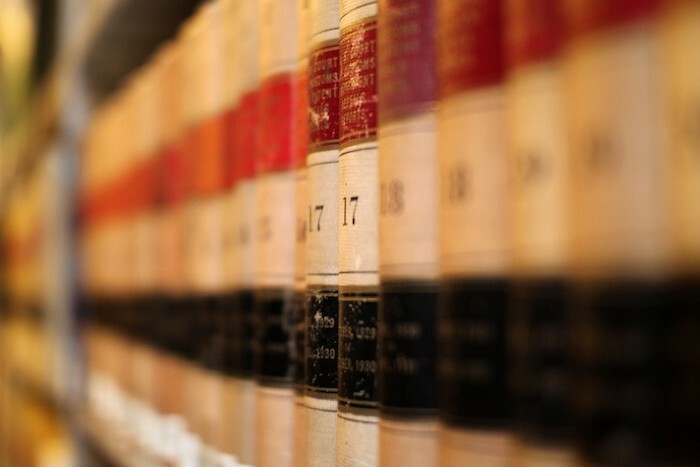 Photo of law books by Mr.TinDC used under a Creative Commons license. POSTED April 8, 2016, 10:46 a.m.
Cagé, Julia. "From Nieman Reports: Do we need a new kind of nonprofit structure to support news as a public good?." Nieman Journalism Lab. Nieman Foundation for Journalism at Harvard, 8 Apr. 2016. Web. 20 Apr. 2019. Cagé, Julia. "From Nieman Reports: Do we need a new kind of nonprofit structure to support news as a public good?." Nieman Journalism Lab. Last modified April 8, 2016. Accessed April 20, 2019. https://www.niemanlab.org/2016/04/from-nieman-reports-do-we-need-a-new-kind-of-nonprofit-structure-to-support-news-as-a-public-good/. | title = From Nieman Reports: Do we need a new kind of nonprofit structure to support news as a public good?